It is Our Family Policy that we will not sell any of our goats to anyone who does not have a companion goat on their premises. Our goats are sold only for Dairy, Show, or for Pet. They are not sold for Meat. 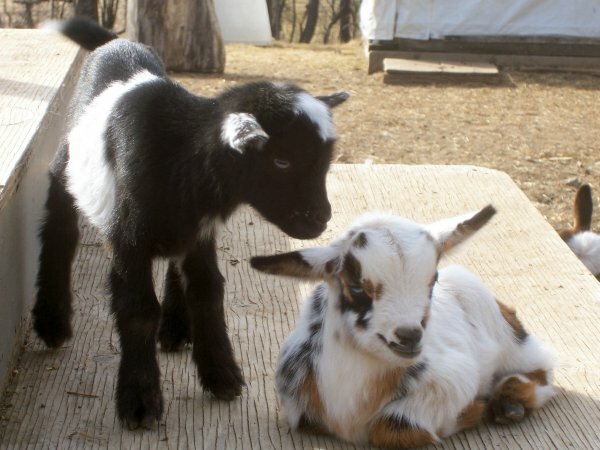 Goats are a herd animal and very much need companionship. Of course you may buy two or you may reserve a Wether. Village Haven Farm Has First Choice On Any Kid Born On This Farm. We are currently taking reservations for Our 2015 Kids.